To use this service you must be based in the UK and be a registered member at a participating Welsh library. If you are already a library member, you can borrow e-zines using your library membership card number. 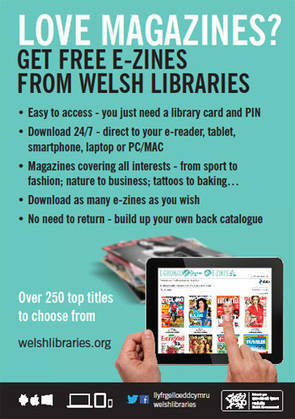 To create a new Zinio account, please visit the e-zines for Wales page.